Douglas Adams has, for me at least, always been one of the greatest authors to grace the english language with his particular brand of humor. He was a master of his craft and a damn fine human being to boot. I first learned of Mr. Adams when I was only 12 years old. I’m a bit ashamed to admit that my first experience with his work was the cinematic take on his novel "Hitchhikers Guide to the Galaxy”. I thought the film was decent, I laughed but it was not quite the experience previews made it out to be. It would be a full year before I was introduced to the original novel. It was my middle school science teacher who first handed me the book and while I was apprehensive of his suggestion at first, once I started reading it I couldn’t stop. When I finished the last page I immediately began devouring the rest of the series in a hungry, frenzy of reading. It was amazing, I laughed, learned, and had no shortage of deeper thoughts while I enjoyed these books (The Hitchhikers Guide to the Galaxy and all of it’s 4 sequels, I highly recommend reading them). As I came to the close of the final book I felt sad that the story was over, the adventure had ended. I had been in love with the characters and author from page one and now it seemed our time together would be done. Then I was struck with an idea. Surely this author has written more material since the publishing of this final book. I set about researching Mr. Adams himself and all his collective works. It was then that tragedy struck. Mr. Adams had been dead for 5 years. 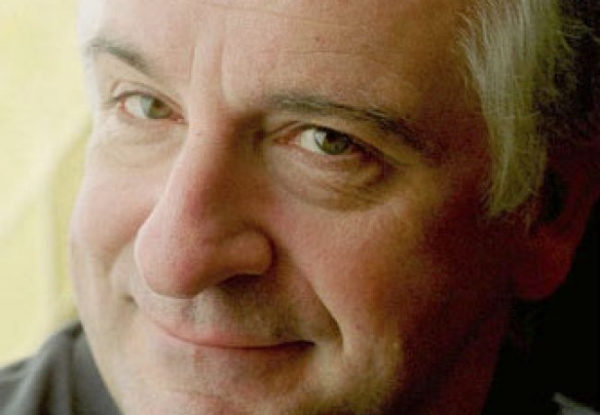 Douglas Adams, creative genius was cruelly taken from the world at the age of 49 by a heart attack. He was survived by his wife and seven year old daughter. I can’t imagine the pain this must have brought them, so great a man as he was, to have him taken so suddenly. My heart goes out to Polly whose mother passed in 2011. After coming to grips with the fact that not only were the writings of this esteemed author limited to the 8 books he had published in his lifetime (another was published a couple years later posthumously but at the time of my discovery had not been released). I took up the reading of "Dirk Gently’s Holistic Detective Agency" with more of a somber attitude, at least for the first couple pages. Soon I was once again strolling happily through the wacky and wonderful world this man created. I held off on reading his only non-fiction book to have been published for a long while. I’m not sure why but looking back I am rather glad I did. My younger self would not have appreciated it the way I did at the age of 20. I read “The Salmon of Doubt” shortly after it was released and then I concluded my readings of Douglas Adams collective works with “Last Chance to See” and as I turned the final page I felt a deep and profound sadness. I felt as if I had come to know the brilliant writer over the years. He had been a part of my life for almost a decade and still is today. The last two books I read by him gave me more of a look at the man himself because much of the content was non-fiction and felt more like a conversation than a book. I increasingly wished i had the chance to meet Mr. Adams, shake his hand and thank him for the laughs and insight. I wish I could thank him for turning me on to the works of Richard Dawkins, the field of astro physics, and the music of Johanne Sebastian Bach (I had heard snippets but never appreciated it until his writing encouraged me to really listen) all of which I maintain an interest in today. In one of the articles from “The Salmon of Doubt” Adams answers a the question “If you could have been alive in any other time or place where and when would it have been?”. His answer is that he doesn’t think he’d be willing to give up his chance to live in the time of The Beatles. Were I to be posed the same question I think I would have like to have been born just a couple decades earlier. Then maybe, just maybe, I could have met the incredible genius that was and is Douglas Adams. I have also included a link to a lecture given by adams before his death.